On the way to our place in France, I was able to reflect on the wholesale changes this country has undergone, seemingly collectively, in the areas of road safely and health. There are few other nations that seem to be able to do this. 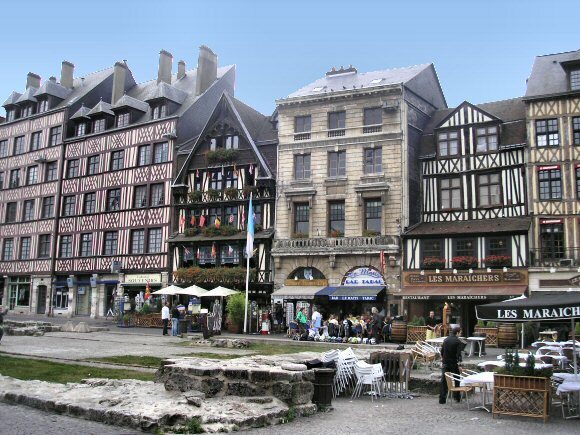 It’s almost exactly a 500 mile journey to our French house, involving about 80 miles on UK motorways, and the rest on French autoroutes – with an overnight stop in Rouen. On the UK motorway, on a Sunday at mid-day, the traffic was flying as usual. The speed limit is 70 mph, and I would say no one was going that slow, with the average speed being 80, and most of the outside lane doing 85-90. 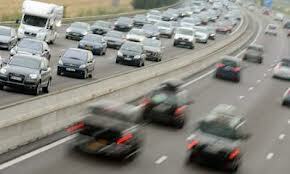 In rush-hour the speeds tend to bunch a bit more – the whole outside lane doing around 80-85. Over in France it is now amazingly different. No one speeds. At all. The most you see is maybe 5kph over the limit, but hardly ever now do you get fliers at 180 kph (of which I used to be one) in the outside lane. Draconian penalties (more than 50 kph over the limit leads to a big fine, like 750 euros, plus an instant ban for six months) are the main reason, but it doesn’t explain the uniform speeds with very little variation. After all, traffic cops don’t go after saloon cars (like they will after a Porsche or Merc AMG), and the speed cameras are obligingly well posted in advance and very easy to spot. No, this is more a collective national resolve to do something about road safety. 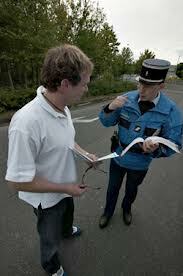 The French road safety campaign started in 2002, a year in which there were 125 deaths per million of population. That was one of the highest in western Europe (only Portugal was higher in the west, plus just about every former iron curtain country in the east). In 2011 they reduced that to around 60 – a huge drop, and one which has almost certainly resulted not just from the penalties, but also from a simultaneous collective agreement to toe the line on motorway speeds. Despite far more speed controls and cameras in the UK, there is nothing like the same collective agreement. But here is the odd thing – the UK road traffic statistics are about the best in the world, at 31 annual deaths per million in 2011. Despite the speeding, crowding, and thrusting executive Audi drivers, the UK rate is half that of France. Both countries’ improvements have stalled in the last few years, but it is maybe possible that if the Brits were as disciplined as the French, we could halve our rate again. On the other hand it’s not clear how the French can improve. Their latest batty regulations, like requiring a yellow reflective vest and breathalyser to be in the cabin of the car at all times, are starting to scratch at the margins. 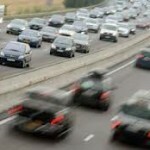 A history of recent French road safety actions is here and these are the European data. However, it’s not only the famously aggressive French driving that has changed. 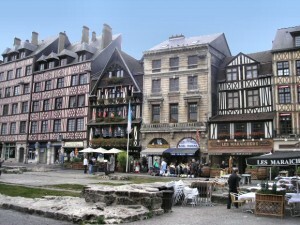 These days because the slower journey takes quite a bit longer (I confess to cruising at 180 kph in the old days), we break the journey at Rouen – an attractive city on the Seine, and the capital of Normandy. At dinner on Sunday night, of the five tables nearby, only one was being served wine. Three had water, and one party drank a single beer each. They didn’t stint on food of course, but in the beverage area this was more like Minnesota than Normandy. And it was a good example of yet another area of collective French behavioral change. Partly in response to government heath campaigns, but again mostly as a spontaneous national resolve, French drinking habits have changed beyond recognition. 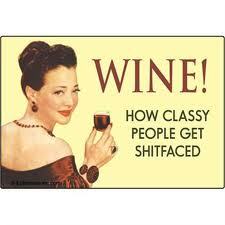 In 1980, the proportion of the population drinking wine every day was 51%, and once or twice per week 30%. Given that presumably included the elderly, insane and prison population it more or less conforms to your view of the country’s drinking habits. In 2010, it had dropped to 17% and 45% respectively. So wine is now an occasional treat for most drinkers, and nearly 40% of the country doesn’t drink it at all. Between 1980 and 2010 the French reduced their alcohol consumption by 38%. Here’s the WHO data (World Health Organisation). The same data set shows, interestingly that the country that drank the least in 2010 was Italy, and they reduced their consumption by an amazing 59% over the previous 30 years. In the same period, the UK increased consumption by 9%, and we now drink double that of Italy, but still 20% less than France. Not at all what you expect of the French (or the Italians! ), and quite a sobering thought. Not that they don’t suffer from the same binge drinking epidemic as in the UK. But they seem to be able to transform themselves in a remarkable way. And good for them – the French are usually impressive individually, and now it seems, collectively too. I just wish they could apply the same single-minded determination to reversing their decline in good restaurants.